Seventeen, ‘Best of Best’ Title Track ‘Home’ MV Teaser Initial Release… Preheating of Comeback 100% Completed! Seventeen, 6th mini album’s new track ‘Home’ MV Teaser released…Expectation is Hot! Seventeen, Maximized the expectation of comeback… New Track ‘Home’ M/V teaser Released! Seventee, Title track ‘Home’ M/V teaser release… Warm and comfortable emotion sniped! Comeback Seventeen, New Warm and Calm song ‘Home’ M/V Teaser Released! The trending idol Seventeen released the M/V teaser of the title track ‘Home’ of the new album and grabbed attention of the public. 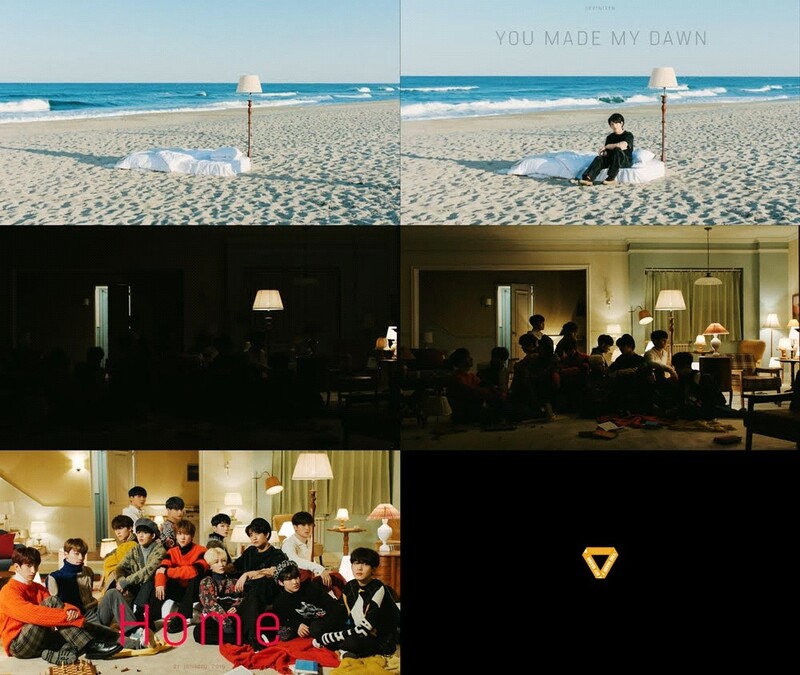 On the 18th midnight, the agency Pledis Entertainment has released Seventeen’s M/V teaser clip of ‘Home’, the title song of the 6th mini album ‘YOU MADE MY DAWN’ which will be released on 21st through their official YouTube Channel and raised the expectation for comeback that is near. Not only that, Seventeen, which their comeback in about six months is near, directly participated in lyrics and composition of the entire songs including the title track, and predicted another growth of the trending idol Seventeen by completing solid and deeper album. Meanwhile, Seventeen will release the 6th mini album ‘YOU MADE MY DAWN’ on various online music sites at 6 pm this coming January 21. On the same day, they will hold press and fan showcase at Olympic Hall of Olympic Park located in Songpa-gu, Seoul.